The name Freud is most often associated with Sigmund, the Austrian doctor who founded the school of thought known as psychoanalysis. But his youngest daughter, Anna Freud, was also an influential psychologist who had a major impact on psychoanalysis, psychotherapy, and child psychology. Anna Freud did more than live in her father's rather long shadow. Instead, she became one of the world's foremost psychoanalysts. She is recognized as the founder of child psychoanalysis, despite the fact that her father often suggested that children could not be psychoanalyzed. She also expanded on her father's work and identified many different types of defense mechanisms that the ego uses to protect itself from anxiety. While Sigmund Freud described a number of defense mechanisms, it was his daughter Anna Freud who provided the clearest and most comprehensive look at mechanisms of defense in her book The Ego and the Mechanisms of Defense (1936). Many of these defense mechanisms (such as denial, repression, and suppression) have become so well-known that they are used frequently in everyday language. Anna Freud was born December 3, 1895, in Vienna, Austria. The youngest of Sigmund Freud's six children, Anna was extraordinarily close to her father. Anna was not close to her mother and was said to have tense relationships with her five siblings. She attended a private school but later said she learned little at school. The majority of her education was from the teachings of her father's friends and associates. After high school, Anna Freud worked as an elementary school teacher and began translating some of her father's works into German, increasing her interest in child psychology and psychoanalysis. While she was heavily influenced by her father's work, she was far from living in his shadow. Her own work expanded upon her father's ideas, but also created the field of child psychoanalysis. Although Anna Freud never earned a higher degree, her work in psychoanalysis and child psychology contributed to her eminence in the field of psychology. She began her children's psychoanalytic practice in 1923 in Vienna, Austria and later served as chair of the Vienna Psycho-Analytic Society. 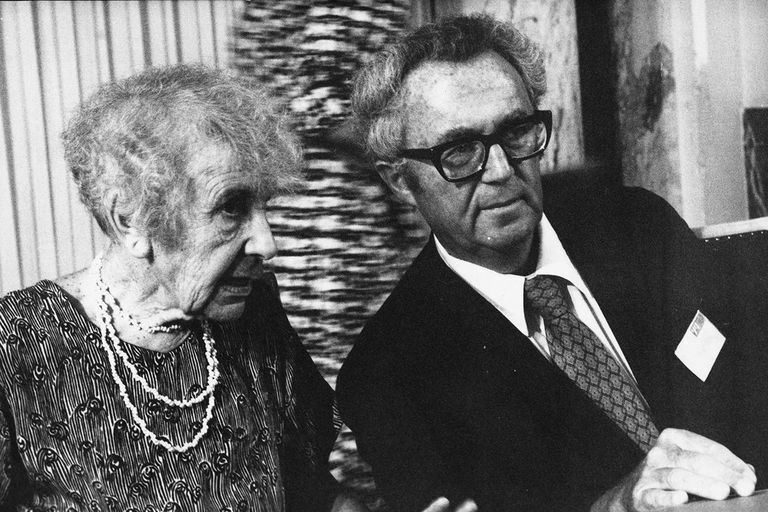 During her time in Vienna, she had a profound influence on Erik Erikson, who later went on to expand the field of psychoanalysis and ego psychology. In 1938, Anna was interrogated by the Gestapo and then fled to London along with her father. In 1941, she formed the Hampstead Nursery with Burlingham. The nursery served as a psychoanalytic program and home for homeless children. Her experiences at the nursery provided the inspiration for three books, Young Children in Wartime (1942), Infants Without Families (1943), and War and Children (1943). After the Hampstead Nursery closed in 1945, Freud created the Hampstead Child Therapy Course and Clinic and served as director from 1952 until her death in 1982. Anna Freud created the field of child psychoanalysis and her work contributed greatly to our understanding of child psychology. She also developed different techniques to treat children. Freud noted that children’s symptoms differed from those of adults and were often related to developmental stages. She also provided clear explanations of the ego's defense mechanisms in her book The Ego and the Mechanisms of Defense (1936). Freud, A. (1936) Ego & the Mechanisms of Defense. Freud, A. (1956-1965) Research at the Hampstead Child-Therapy Clinic & Other Papers. Freud, A. (1965) Normality & Pathology in Childhood: Assessments of Development. Peters, U. H. (1985) Anna Freud: A Life Dedicated to Children. Weidenfeld, London. Young-Bruehl, E. (1988) Anna Freud: A Biography. Summit Books, New York.